Michael J. O'Connor & Associates, LLC workers' compensation lawyers are currently investigating illegal wage and hour practices by companies throughout Pennsylvania. These efforts demonstrate our firm's commitment to fight for working families. Under the law, millions of workers who work more than 40 hours per week have a right to overtime pay calculated at one-and-one-half-times their regular pay. Unfortunately, some companies illegally fail to pay overtime to deserving workers. Below are some of the most common violations of which employers are frequently guilty. Some companies fail to give workers credit for all hours worked. This can be illegal. Workers generally are entitled to be paid for all time in which they are under the company's control. You may be entitled to significant money damages for time spent "on-call" waiting for work assignments, working "off the clock", working at home, training, working during lunch breaks, traveling during the work day, or doing jobs during "opening", "closing" or "clean-up" periods. 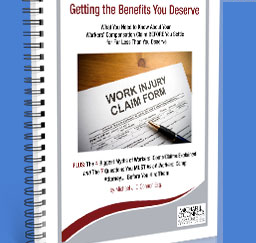 If you have not been paid for these types of activities, you should consult with one of the workers' compensation lawyers at Michael J. O'Connor & Associates. The right to overtime pay is not limited to workers who receive an "hourly" wage. In fact, millions of "salaried" workers also are entitled to full overtime pay. Whether you are entitled to overtime pay depends on the duties you actually perform in the workplace, not your job title or your "salaried" status. Many companies give salaried workers "impressive" job titles such as "Supervisor" or ''Assistant Manager" and then require them to work long hours without overtime pay. This can be illegal. No matter what the job title, workers who perform routine jobs often are entitled to overtime pay. Under the law, your right to overtime benefits depends on your actual job duties rather than your salary status or job title. At Michael J. O'Connor & Associates, we can evaluate whether, based on your job duties, you truly are exempt from receiving overtime pay. Some companies use "compensatory time" or "comp time" schemes to prohibit workers from receiving overtime pay for weeks in which they work more than 40 hours. For example, the company might allow a worker who works 55 hours in one week to take a 15-hour credit during a future week. Many of these schemes are illegal, especially when the worker is not a governmental employee. This is because, under the law, overtime is calculated each week, and hours worked cannot be shifted to future weeks. At Michael J. O'Connor & Associates, we can evaluate whether your rights may have been violated. Some companies avoid paying overtime by misclassification workers as "independent contractors," even though the workers are treated as company employees in all other respects. Whether you have been misclassification as an "independent contractor" can be complicated. If you are an "independent contractor" and regularly work over 40 hours per week without overtime, Michael J. O'Connor & Associates can help determine if your rights may have been violated. The above are just a few examples of the ways in which you might be deprived of overtime pay. In many instances, a class action suit can be filed with an incentive fee for the class representative. The Fair Labor Standards Act provides non-retaliation provisions to protect the employee named as the class representative. The wage and hour laws are complicated. If you believe your current or former employer may have deprived you of your full rights under the wage and hour laws, contact us to schedule a free consultation with an experienced attorney. The workers' compensation lawyer team at Michael J. O'Connor & Associates is ready to begin tackling your legal problem today. Email or Call our toll free number at (800) 518-4LAW for a free initial consultation and review of your case.